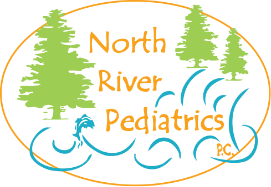 Our office works with other local pediatricians to provide after hours coverage around the clock. Simply call our main office number and you will be connected with answering service that will direct your call to the on call triage professional. If your concern requres a physician's attention, you will be connected with the Pediatrician on call. You may also use the patient portal to send a message that will be seen by our clinical staff as soon as our office opens for normal business hours.